Let me save you the time and trouble. One of the first challenges you are likely to experience, is getting your prints to stick to the print bed; but not so well you can’t remove them. There are a number of solutions to this problem, however in my experience, especially when printing with PLA, Blue painter’s tape is the best. This is one of the most popular 3D printing tools. 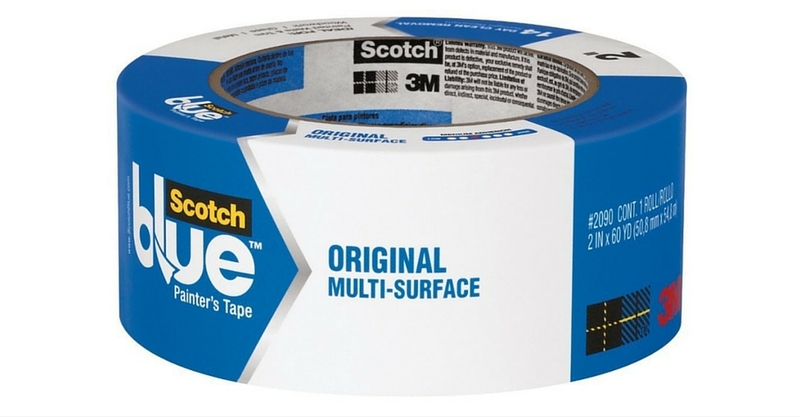 Buy the widest tape you can find, usually 2 inches, and stick it to your print bed in rows, being as precise as you can at the seams. If you want to save tape, only stick it where filament will actually be fused, and replace it every five prints as it becomes worn. 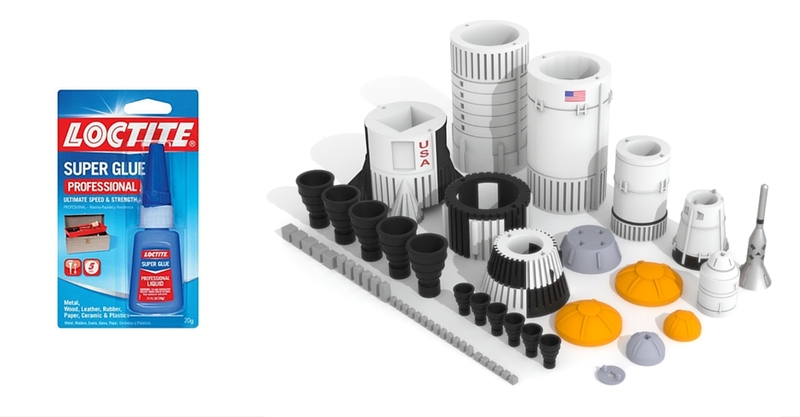 You will probably want to stock up on these types of 3D printing accessories, as you will find you go through them quickly. 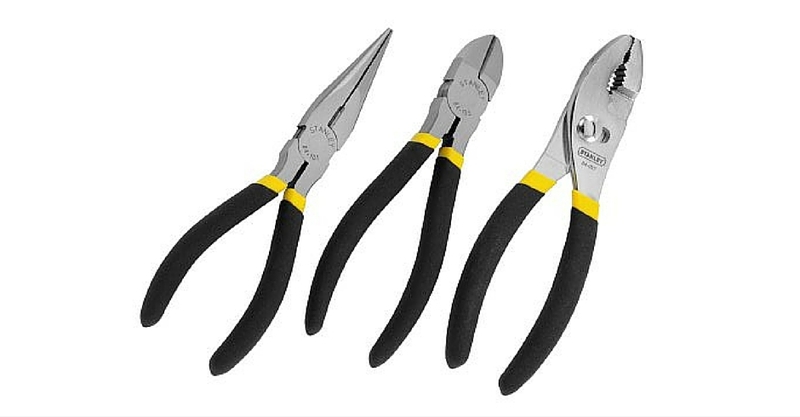 There are two types of pliers you will want to add to your essential 3D printing tools: wire cutting pliers; and needle nose pliers. You will need the wire cutters every time you change the filament, to clip the rough end that comes back out of the motor. When changing the filament, I recommend you use a filament clip to prevent your plastic becoming tangled like a garden hose. This can cause prints to fail! The needle nose pliers will come in handy when you are dealing with small prints, and your fingers are too large to get a good grip. Perhaps not the most important of the essential 3D printing tools but you will find these very useful if you are printing intricate parts. Tall prints you should be able to pull off the print bed without too much trouble. Short prints, with a large surface area however, can sometimes be challenging to get free. This is when a flexible scraper with a thin edge, will help you get underneath the print to lever it off the print bed. The scraper is another of the most popular 3D printing tools, with reviews on Amazon actually discussing its use in 3D printing. Take extra care when using a scraper. It is easy to build up a lot of force and slip into your other hand causing a nasty injury. A useful tip is to print short designs with large surface areas onto worn tape. This will stop them from adhering too well. This is without question, the most overlooked of the 3D printing tools and quite possibly the most important. Most new desktop 3D printer owners will not store their filament in a moisture free environment. This can lead to numerous problems, including nozzle blockages and in some cases damage to your 3D printer. Don’t you make this critical mistake. Have a quick read of my article on 3D printer filament storage and save yourself a lot of time and trouble; by using one of my simple solutions. If you only buy one of the 3D printing accessories on my list, make it this one. The impact it will have on your desktop 3D printing experience can not be over estimated. Fairly self explanatory but you will make some mess with every print you do. Have a small bin close by and watch in horror at the amount of expensive filament you throw out. A number of 3D printing models these days are created in parts, to avoid the use of support structure during printing. Support structure is needed when a design has angles of less than 45 degrees to the print bed. It can be very difficult to remove and often damages the print. Make sure one of your 3D printing tools is super glue, to help fix parts together. 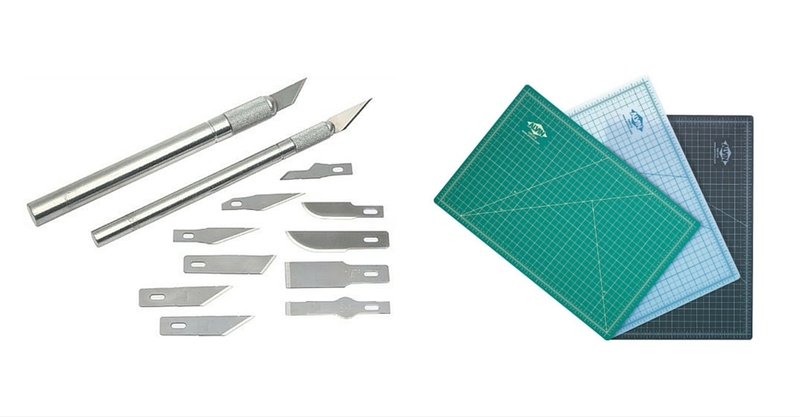 For prints that do require a little post processing, some great 3D printing accessories are a precise knife and a cutting matt. 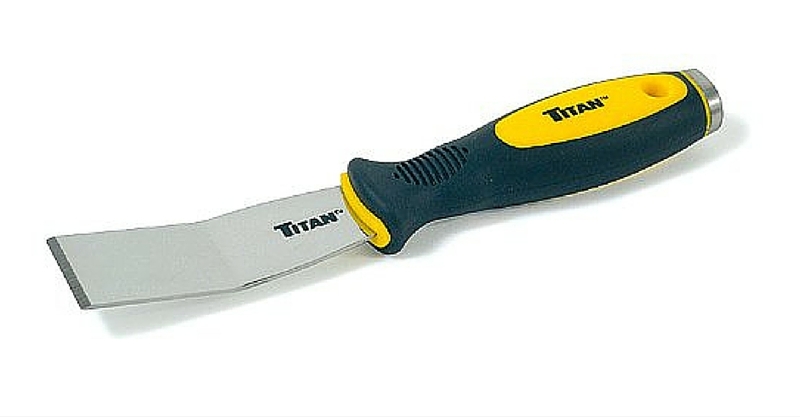 And for when you need something more delicate than a cutting knife. 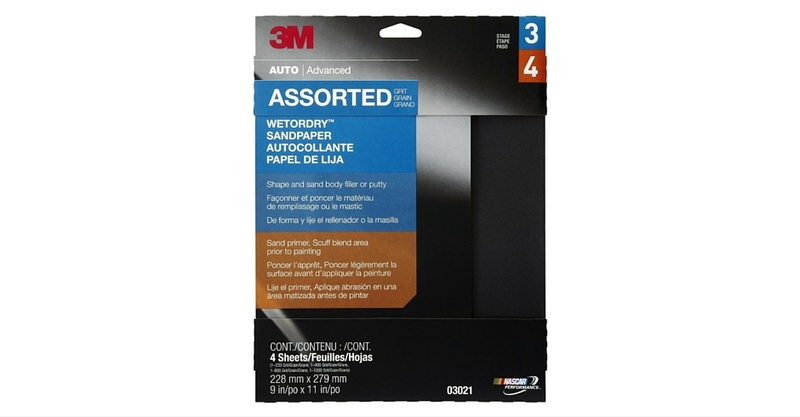 Some sandpaper. The quality of your print results can be, and usually are determined by the 3D printing software that you are using. Most people stick with the 3D printing software that came with their desktop 3D printer. However there are a number of third party 3D printer slicer’s available, that may produce superior results to the software you are currently using. Have a quick read of my article on 3D printing software and take your desktop 3D printer to new highs. Although a number of manufacturers claim their 3D printers are plug and play, that probably isn’t 100% accurate at this point in time. Your 3D printer will need some minor maintenance, and at some point in time you will experience a nozzle blockage. Your first nozzle blockage can be quite worrying but in reality it is a very easy problem to deal with. 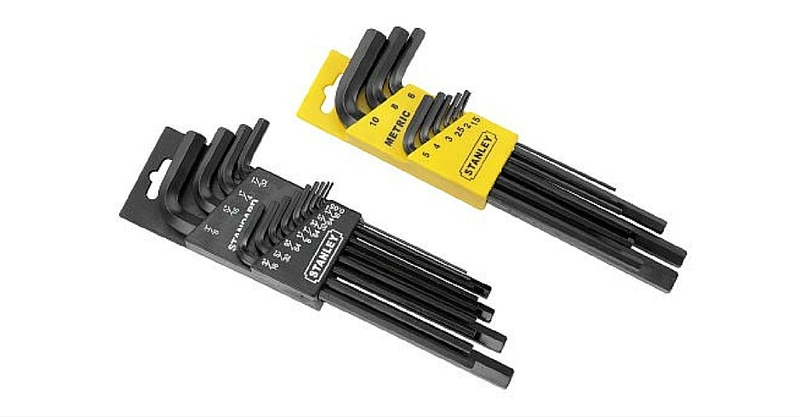 As most 3D printers are put together using hex bolts, a set of hex keys is essential for tightening and taking things apart. There is a good chance that your desktop 3D printer would have arrived with this particular set of 3D printing tools in the box. If not however, these 3D printing accessories are essential. A good tip is to take a photograph of anything you take apart, so you can be certain you put it back together again correctly. If you are new to 3D printing, you will probably spend your first few months discovering a huge amount, about this incredible hobby. You will likely experience a lot of frustration as you learn to operate these, sometimes temperamental pieces of equipment. Having a simple set of 3D printings tools at your side, and knowing how they are useful, will reduce these head scratching moments, and hopefully make the learning process that bit more fun. Whatever happens though, stick with it, as once you get the hang of it, it’s a lot of fun! 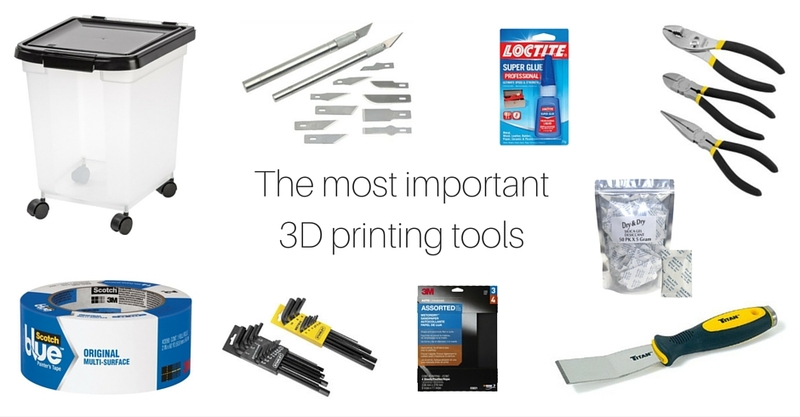 Which 3D printing tools do you use? Great article Ross, good source of information for 3D printer enthusiasts. Let me know if you have any topic ideas for me to write about. You can also subscribe to my newsletter at the top of the page. 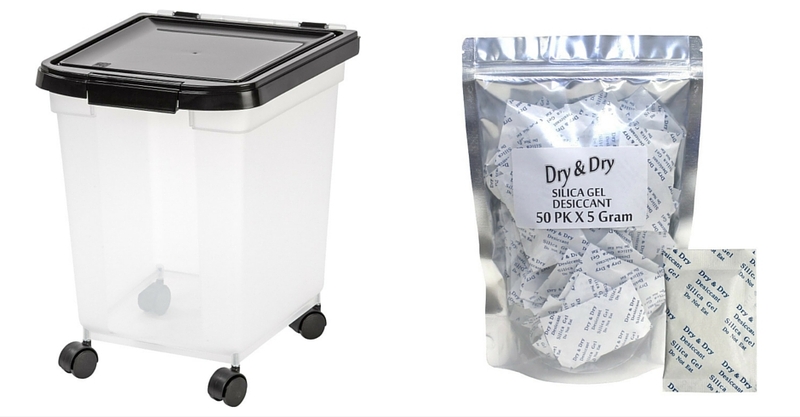 I am new to 3D printing but after reading about how PLA can absorb moisture, I started keeping my filament spools in large re-sealable bags with a silica gel pack inside. This way I can keep them on a shelf and don’t have to dig through a container for the color I want. I think a lot of people new to 3D printing don’t store their filament correctly. I know I made this mistake.